New Facebook algorithm – keep on panicking? Unless you participated in Big Brother without internet connection in the past few months, you’ve heard about the changes Facebook has in store for us. They’re updating their news feed algorithm once again – and once again it will affect the publishers and organic reach negatively. That’s why every agency, social media manager and anyone from this field should keep their ears and eyes peeled. Apparently, News Feed is getting crowded and the option for people to see and interact with the posts that are the most meaningful to them is getting smaller and smaller. First of all, it shouldn’t be confused with the ‘Explore feed’ testing, which has been going on for quite some time. For now, all your posts are staying in 1 feed tab (unless you’re among the countries where it’s being tested). This means – be prepared to see more statuses and photos from your friends and fewer cat videos and news – which are probably one of the reasons these changes are coming. Facebook is not a news outlet after all. And news channels were undeniably using it as one. Which brings us to the inevitable (and something we have been hearing a lot of in the past few years) – organic reach is deader than dead. What does this mean for brands though? Be prepared to invest even more into your Facebook ads, if you want to maintain your results. It’s going to be more about that than community management. Facebook is also going to prioritize posts, which are engaging. We have been used to videos growing as a format, but due to their passive nature, this will no longer be the case. They will be pushed back and replaced by posts that spark conversation between users and those with longer, more meaningful comments. This will probably lead to the meaning of wallposts decreasing – as newsfeed space will get smaller and smaller. One of the most obvious ways to get your content seen will be to make more ad campaigns. 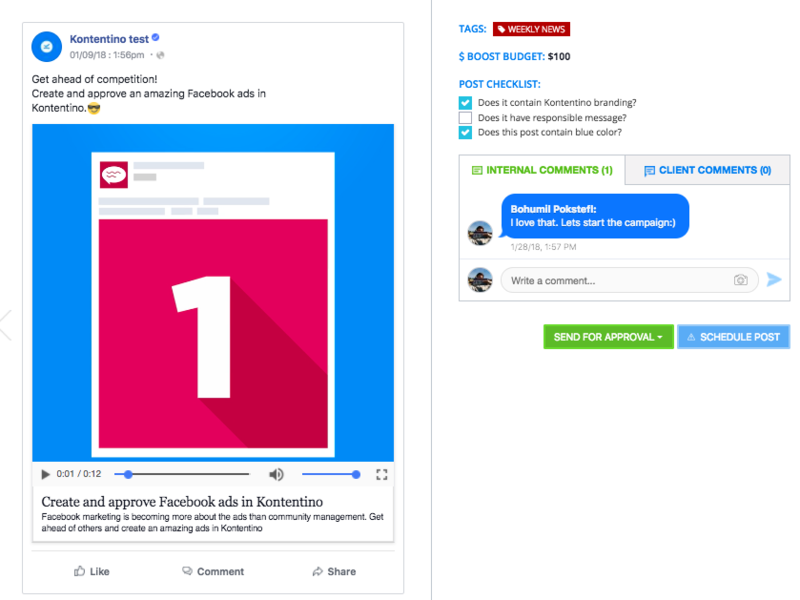 Brands will have to evaluate their business goals and what is beneficial for them – Facebook themselves have mentioned they are going to support driving business results for brands using Facebook ads. We are always trying to adapt, improve and make your life easier any way we can. 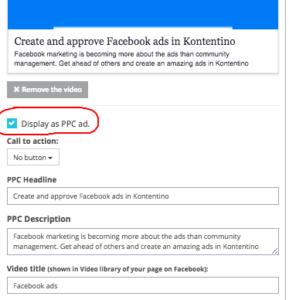 And since these changes in algorithm probably mean you are going to spend more time with your ad campaigns, we stepped up the game and now you are able to create and approve ads in Kontentino. Soon we will be bringing you the option to export ads to Facebook Business ads manager directly from Kontentino.